Bulgaria is a land filled with history and is the third archaeological rich country following Greece and Italy. The capital city, Sofia was founded 7000B.C by the Tracian tribes and was ruled and occupied by many different superpowers, such as the Romans and the Ottomans. Today, Sofia is a modern cities but the history of this place could be seen everywhere. 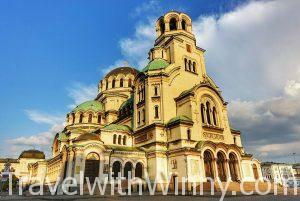 Here are 10 fun facts we found about Bulgaria.